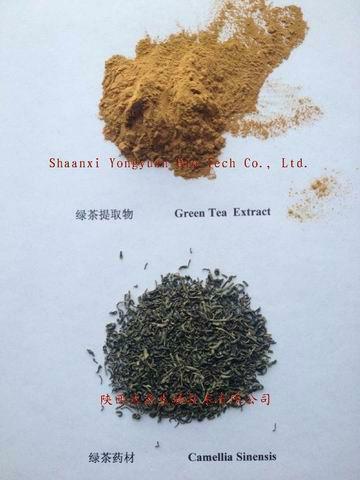 Product Name: Green tea extract,Green tea P.E. Appearance: the power melts easily in water and alcohol with the colors- pale yellow . Stability: stable in the state of PH4-8. it will go bad if it is stored in a shining, warm place and used with strong base, strong acid and transition metal. 1. It can be used in greasy, fried and baked foods and different meats as a kind of food additive to get rid of poisonous free radicals with the function of oxidation resistance. 2. 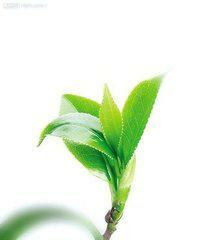 It can be used in tea drinks to make hygienical weight reducing teas. 3. It can be used in healthy foods to get rid of poisonous free radicals, to postpone senility and to strengthen the immunity from disease. 4. It can be used in the world of cosmetic to reduce melanin deposit, fleck and age pigment, and to care about skin as a ultraviolet filter ,at the same time, it can prevent oxidizing reaction when oil materials and air meet together. 5. It can be used in the world of medicine to prevent cardiovascular disease, to reduce the incidence of blood pressure; meanwhile it also can defend cancers, fight against cancers , virus and radialization as well as removing the oral peculiar smell to protect the mouth. Address: 69# Jinye Road, Hi-tech Zone, Xi'an, Shaanxi, China.